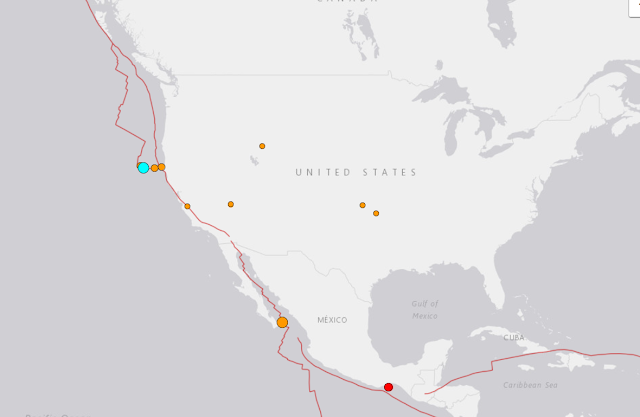 According to the USGS there has been three significant earthquakes in California. The strongest is this one, a 5.7R . 218km off Ferndale. 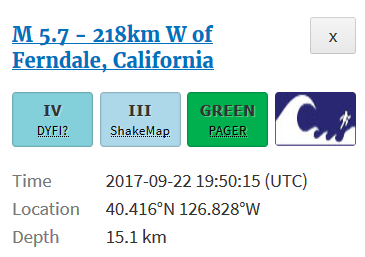 Our predictions were expecting this in CA at coordinates (38.3N, 123.4W). We are two degrees off.